News of Facebook’s algorithmic shift to favor friends and family over publishers sent a bit of panic through the online community earlier this week, and rightfully so. The same people that liked or followed your Facebook account are now being told that they should care more about the content their friends and family produce rather than the sites they signed on to follow. For some, this is going to be great news. For others, the decision being made for them — even when they might prefer to see content from publishers they’ve subscribed to — has them up in arms over yet another overreach by a major company that assumes widespread changes are good for everyone. But, good news. 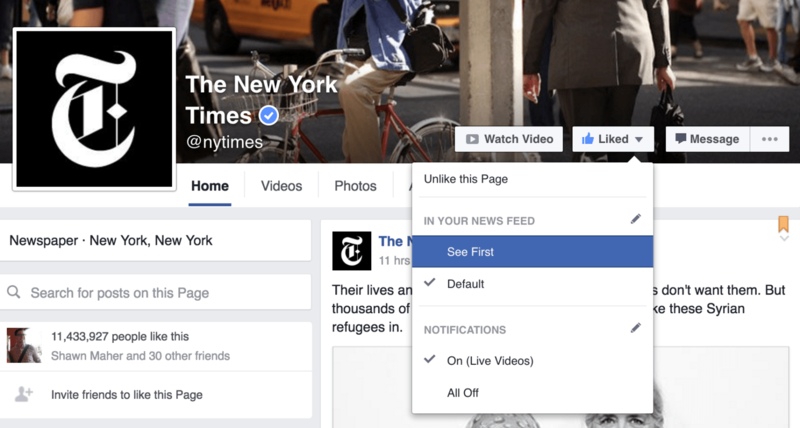 You can beat the algorithm, kinda, and see whatever you want to see on your newsfeed. Last summer, Facebook allowed its users to see who whey wanted to atop their newsfeed. The feature, called ‘See First’ allows you to flag certain pages or profiles so new content from them takes precedent over content from others. To use this, just click the page or profile you want to see first (assuming you’re already a friend or follower of the page/profile), click the blue “Following” button on mobile or “Liked” on desktop and a dropdown will appear. Click “See First” and you’ll always see their content, algorithm be damned. 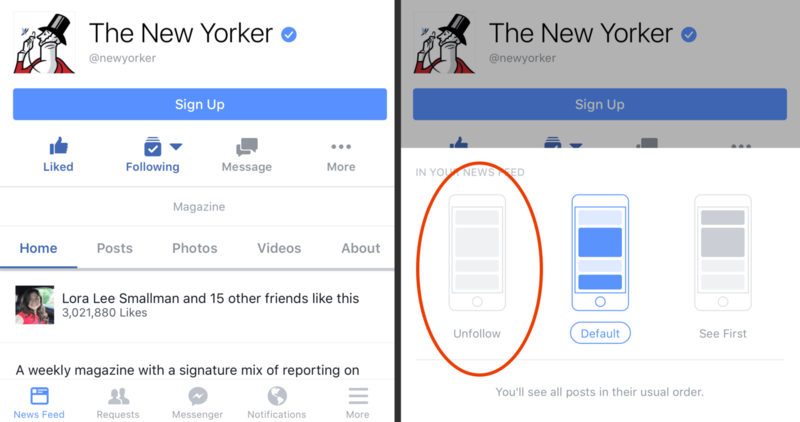 Another cool, and criminally underutilized feature of Facebook is the ability to unfollow certain users. Rather than go through the awkwardness of unfollowing them, you can remain friends, while not seeing any of what they’re actually posting. We all have “those” people on our friend’s list that we’d really rather not see posts from, but few actually go through the trouble of unfollowing. To unfollow, just click the “Friends” or “Following” button under the profile picture (mobile) or to the right of it (desktop) and select “Unfollow” from the dropdown. It’s really that easy. I’ve been using this for quite some time and it’s significantly increased my enjoyment level at Facebook by blocking those I don’t care to see, and seeing more from those I want to.